Camping on the lake shore, hunting in the Northwoods, biking down a mountain trail -- wherever you are headed this weekend and whichever toys you want to bring along for the ride, you can Bring It with CURT cargo management products. From our expanding line of bike racks to our new and improved cargo straps, we offer cargo management solutions to fit your unique lifestyle.Whether you are an avid mountain biker or a casual rider, you will want CURT along for the ride. CURT bike racks are made to fit 1 1/4" or 2" receivers and are able to carry anywhere from two to five bikes, depending on the style of bike rack. 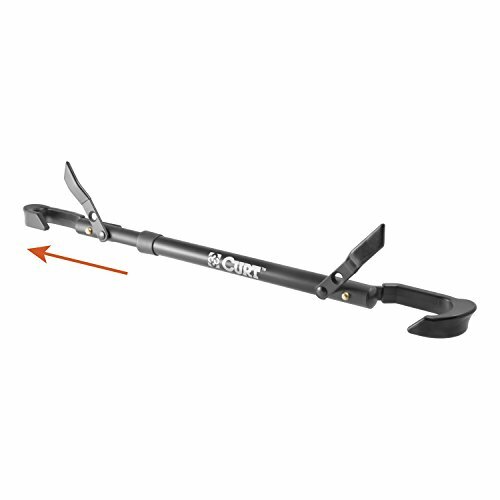 The CURT bike beam is an adjustable beam that allows you to carry various bike frame styles with CURT bike racks. The bike beam attaches to the seat post and handle bar assembly to create a cross beam on virtually any bike frame. This is especially useful when mounting a women's bike on a CURT bike rack. The CURT bike beam is constructed from steel and features a sleek black finish.